One of the most popular locations for a destination wedding is Tuscany in the northwestern part of Italy, which is also the famous Chianti region – home to some of Italy’s finest wines, picturesque vineyards and landscapes, and the stunning ancient cities of Florence, Siena, Lucca, and Pisa. You may think that getting married in another country involves a lot of rules, regulations and paperwork – but if you get married in your home country you will still have a lot of rules, regulations and paperwork to deal with! Having a destination wedding in Tuscany is no more complicated than having your ceremony in your home country – in fact, with the guidance of an expert Italian wedding planner such as BeA Alfresco Wedding, you can rest assured that everything will be taken care of and that we will be by your side every step of the way. Your biggest choice may be in deciding whether to have a legally binding ceremony in Italy in one of our gorgeous town halls or other venue; or have your ceremony close to home and follow that with a symbolic destination wedding ceremony in our beautiful country. The latter is a very popular choice as it allows the bridal couple to hold their symbolic ceremony in an ancient castle, a beautiful garden, a scenic Tuscan villa, or a medieval town. Of course, if you wish, you can be legally married in one of our exquisite ancient cathedrals or churches; and the city of Florence permits foreigners to have a religious ceremony, whether Protestant or Catholic. Again, we will assist you with all of the formalities and documentation. At BeA Alfresco Wedding we are here to listen to your ideas for a dream wedding and any special needs you may have; and to offer suggestions concerning the many locations available in the region. We will also offer our unique themes for the wedding reception; the decorations; the flowers; the wedding cake and the food to be served – for which we only use the finest local suppliers. 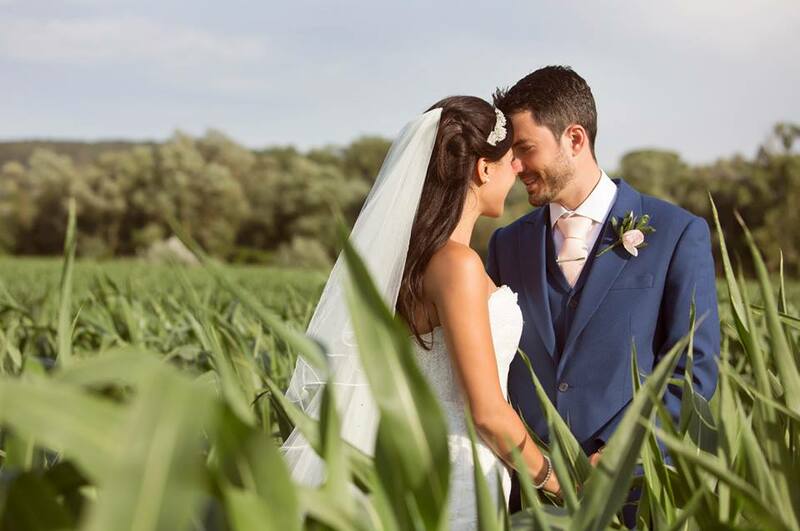 The best time of the year to get married in Tuscany is between May and September, when the days are long and the sun is shining; although many businesses close in August for vacation, so be sure to contact us several months (or more!) ahead of your planned wedding date so that we can give you our full attention and make sure that everything is in place to give you the wedding of your dreams.